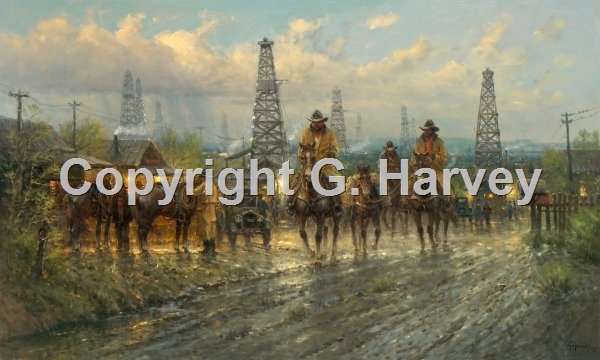 G. Harvey is considered the consummate painter of the West and its most famous icon, the American cowboy. This outstanding image of life in the oil fields at the turn of the century is one of the artist's most popular subjects. With an ever-changing environment in the fields of "black gold," the hard-working men knew well to be prepared for any kind of weather. These cowboys are outfitted to withstand the rain that's headed their way.